Dr. Sang-Joon Cho, Director & Chief Scientist at Park Systems Corp., talks to AZoNano about the new SmartScan software and how it has removed the complicated operating systems typically associated with many AFMs. 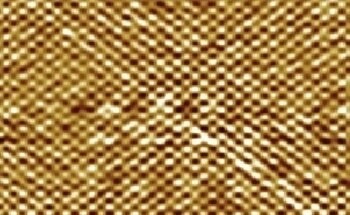 Producing high quality nanoscale AFM images often requires an experienced user. How does the new SmartScan software allow inexperienced users to deliver high quality results? One of the reasons why AFMs require an experienced user is that most AFMs require complicated operation to acquire images. Park SmartScan removes that requirement. All that's needed from the user are three mouse clicks. Animated instructions that anyone can understand appear once you click the setup button. We have developed a smart algorithm which automatically adjusts parameters such as gain and speed to acquire the best possible image. This way, inexperienced users can obtain images as good as what experienced users can get. What is the software’s ‘three click’ process for acquiring images? In order to get a high quality nanoscale image with a 'three click' process, users simply begin by following the instructions provided when they first click the "setup" button. A small window appears where animated sequences guide you on both how to set the instrument up as well as how to place the sample for imaging. Typically this takes only a few minutes. Afterward, the user’s second click will be on "position" button. This causes the system to automatically perform the frequency sweep for the cantilever, move the Z-stage to the sample, and auto-focus on the sample—allowing the user to see and navigate the area of interest for imaging. All these complicated steps are completed with just one click. Finally, the third and final click of the “image” button sets all the necessary scan parameters for optimal imaging, engages the cantilever to the sample, and scanning begins. It continues to scan until the image is acquired and the process is completed. How does the software help increase productivity and save users time? Park SmartScan’s automated mode, SmartScan Auto, performs all the necessary operations for imaging and intelligently decides on the optimal balance between image quality and scan speed, all autonomously. Users don't need to worry about tweaking various settings for the best image. In this way, automated operation dramatically reduces the human factors in AFM imaging so User A and User B can obtain similar image qualities regardless of their skill levels. An advanced user no longer needs to hang around the AFM to help lesser skilled counterparts operate the system and can increase their productivity by focusing on other tasks. SmartScan Auto can save you time and effort, and makes for a better end result. In addition, its Fast Approach and AdaptiveScan functions also help you obtain top quality images at much faster scan speeds—typically up to five times greater than what conventional methods allow for. This newfound extra scanning speed greatly enhances the productivity in many settings including both academic research and manufacturing defect review and analysis. How does Park's FastApproach feature ensure speed and accuracy? With Park SmartScan, the AFM automatically does the frequency sweep and intelligently decides on the best amplitude/frequency setting to use. 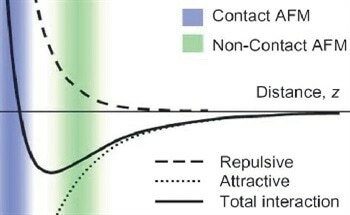 Then, it automatically uses this information to initiate FastApproach—a rapid, but safe, method to get the Z-stage very close to the sample in a much shorter amount of time than a typical manual approach. When a cantilever approaches the surface of the sample, air damping affects the cantilever’s amplitude/frequency setting which in turn signals the system to recognize the surface. Therefore, the AFM safely takes the probe down to the sample surface at full speed without requiring the user intervention and the sample can be engaged just 10 seconds after loading the cantilever. Could you tell us a little bit more about how the software automatically looks after all sophisticated AFM parameters and how this was achieved? 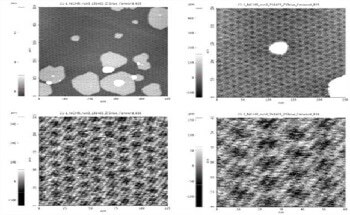 High quality AFM images come from optimizing scan parameters and the set-point for adjusting tip-sample interactions. We developed an automated imaging algorithm by quantitatively analyzing the physical phenomenon between sample and tip based on the Approach-Distance curve, error signal, etc. to minimize the need for human input. To be more specific, AFM images in general, are acquired from a constant speed scan with a pre-defined Z servo value set through gain settings. High quality AFM images in turn are created with a minimized Z servo error and optimized gain settings. When there is a sudden change of topography, a previously optimized Z servo no longer follows the profile correctly and produces a higher AFM error signal. In order to follow the sudden topographical changes, it usually requires faster Z servo or slower scan speed. However Park SmartScan produces the highest quality AFM images by automatically optimizing the Z servo and scan speed together according to the topographical changes encountered during scanning. How does the new SmartScan software compare to other software packages available on the market? Unlike previous iterations of AFM technology which have been limited in use by highly skilled professionals, Park SmartScan’s technology greatly simplifies the scanning process allowing nearly anyone to oversee its operation. This OS requires 3 straightforward point-and-click steps. Traditional AFM technology requires many iterative steps of complicated input from the user. Those additional steps represent a significant bottleneck for most labs. With Park SmartScan technology, skilled technicians can spend less time on repetitive imaging and more time doing other work, greatly increasing their productivity. Are there any recent case studies that you are particularly proud of? Yes, one case comes to mind with a group we are working with at the Molecular Foundry based in Lawrence Berkeley National Laboratory. They are currently using Park AFM equipped with Park SmartScan to run experiments for optoelectronics development. Park SmartScan has proven to be a real boon for them as it allows them to see a representative approach-retract curve which in turn makes it much easier to select the correct parameters for high quality conductive AFM measurements. Furthermore, the user interface of the software is more intuitive for novices—which facilitates the training of new AFM users at their facility like never before. That last point also echoes what we have seen first-hand with our summer interns. We took on an undergraduate student this past year from Rutgers University at our US office. You can imagine how pleased we were when he reported that our software was very easy to work with and allowed him to image samples at nanoscale resolution without the laborious setup he had seen on other systems. How do you plan on developing this software further? In addition to topographical imaging, AFM has many other useful functions such as electrical and magnetic property measurement. Park SmartScan will continue to evolve and automate the new functions gradually. We will also provide new tools for advanced users. Scripting and macros for SmartScan will provide you with a powerful ability to design advanced experiments requiring high flexibility in data acquisition. Furthermore, our software will come with built-in macros that can be easily loaded and applied for repeating operations, such as moving the XY or Z stage to a specific location, or resetting an operation. You can edit existing macros or create new ones as needed and tweak settings in real-time using scripts to automate many other parts of microscope use. In this way, both the novice and experienced user can enjoy the benefits of Park SmartScan. Dr. Sang-Joon Cho is the Chief Scientist and director of the R&D in Park Systems. He has worked in the areas of basic biomedical science, instrumentation, and application development for the Scanning Probe Microscope (SPM) over the last 15 years. He has successfully carried out numerous national projects and is currently in charge of two national projects with a budget of over $7M to develop new SPM applications in the semiconductor industry. He is also a Principal Investigator with joint appointments at the Advanced Institute of Convergence Technology in Seoul National University. He also has solid records of scholarly contributions of over 40 publications in leading International scientific journals, numerous oral and poster presentations in scientific conferences and over 80 invited lectures. In addition, he is serving the community as the Secretary of Sub-Committee 9 (Scanning Probe Microscopy) of the International Organization for Standardization along with many other national planning committees. Disclaimer: The views expressed here are those of the interviewee and do not necessarily represent the views of AZoM.com Limited T/A AZoNetwork the owner and operator of this website. This disclaimer forms part of the Terms and conditions of use of this website. Stuart graduated from the University of Wales, Institute Cardiff with a first-class honours degree in Industrial Product Design. After working on a start-up company involved in LED Lighting solutions, Stuart decided to take an opportunity with AZoNetwork. 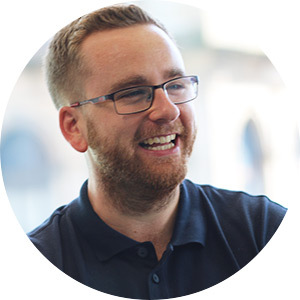 Over the past five years at AZoNetwork, Stuart has been involved in developing an industry leading range of products, enhancing client experience and improving internal systems designed to deliver significant value for clients hard earned marketing dollars. In his spare time Stuart likes to continue his love for art and design by creating art work and continuing his love for sketching. In the future Stuart, would like to continue his love for travel and explore new and exciting places.